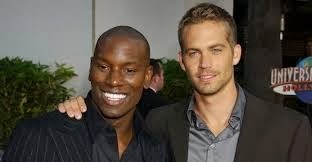 Sunday, I preached at Pathway Bible Church, a block away from the memorial for Fast & Furious actor Paul Walker. After the worship service, my family and I slowly rolled through the massive crowd of grieving fans and sports car enthusiasts he inspired. I couldn’t ignore the tragic irony that the text from which I preached, a text I had chosen weeks earlier, was Psalm 73. Psalm 73 is a wisdom Psalm. It warns believers not to be seduced by the glamor and fun of those living fast and furious lifestyles. It teaches that their end will come fast and furiously in a way that will be anything but glamorous and fun (73:18-19). It is a message that all people need to hear over and over again, especially the young and impressionable. I can’t tell you how many times I have almost died doing foolish things. God is gracious and patient to all, but the message of Psalm 73 must be heeded. The God, who is gracious and patient, warns that our choices have consequences even when the consequences aren't immediately manifested. Hollywood movies lie when they contradict this truth. Too often Hollywood glamorizes fast, morally loose, and reckless lifestyles as being only exciting and fun. The real truth is told in Psalm 73. Sin can be fun and exciting and may even be prosperous, but only for a short season. My heart breaks for Paul Walker's family. What parent doesn’t dread the prospect of getting a call that his or her son or daughter has died in a tragic way. I am praying for his parents and his 15 year-old daughter, and I pray that all who hear this story will stop and pray for this grieving family. But for Paul’s Hollywood fans, there is another message that I hope they will carefully consider. The Bible soberly but truthfully teaches that living foolishly is sin and that sin carries a hefty price—death. And God, who is gracious and patient, declares that He will by no means leave the guilty unpunished. He, therefore, commands sinners to confess that they have rebelled against Him, and acknowledge by faith that His Son, Jesus, paid the penalty for their sins when He died on the cross. As the only one who rose from the grave, who defeated sin and Satan, Jesus promises to pardon sinners who turn from sin to trust in Him and to give them eternal life, and by the Holy Spirit, the means to live a life of wisdom that pleases God. My prayer is that from the tragedy of Paul Walker’s death, a greater tragedy will be avoided—more deaths because Hollywood’s lies and tries to hide the truth of Psalm 73. Fast and furious lifestyles are only fun for a moment yet they lead to an eternity of pain and suffering. Instead, live by faith in Christ, free from the carnal enticements of Hollywood. The cost of such a sacrifice will only be for a moment but will gain for you an eternal reward of glory. Choose your path of life by faith in Christ, heeding the Word of God and live wisely. Then and only then will you experience true abundance of life. Saw this on Voddie Baucham's tweeter, thought it was worth posting. It's a clip from the show Wretched. Please be discerning saints. 1 John 2:18 warns, "Children, it is the last hour; and just as you heard that antichrist is coming, even now many antichrists have appeared; from this we know that it is the last hour." Dr. S.M. Lockridge has gone to be with the Lord (April 4, 2000) since he preached this sermon, "That's My King." It's not expository, but it sure is good! I thank God for how well this three part sermon series was received. To hear it you have to visit our church website CFBC. Also please pray with me. There is a book publisher interested in helping me get all 101 answers in print. The Word of God offers answers to questions about singleness, dating, marriage, divorce and remarriage a whole lot better than anything we can get from the world’s wisdom. The Corinthians had many of the same relational struggles that we face today and the good news is that the Word of God in 1 Cor 7 answers them. Are you consumed by the priority principle in vv. 17-24 “Contently Serve God in the Portion Jesus gave you and the Status in which the Father called you”? Should all non-married have the standard of 1 Tim. 5:2? What is a Masculine Male? God designed the essence of masculinity in both a man’s being and acting. It is engraved in what they are and revealed in how they (are supposed to) act. Whereas sin marred what men are as masculine beings and how they act, the Spirit of God can renew a true masculinity in men and guide them to live in harmony with their masculine make-up. A man’s goal, now, must be to yield to the Spirit’s work within him and to live like Christ—the perfect masculine man. I. Being Masculine: God hardwired men to reflect His image and likeness in at least 5 aspects of their being (Gen 1:26-27). II. Acting Masculine: God hardwired men to live out their masculinity in 5 roles. Biblical masculinity is that divinely created make-up of man (our moral, spiritual, rational, emotional, relational nature) through which God displays His Own image and likeness (Gen 1:26). Masculinity, in distinction from femininity, is seen when men live in accordance with their finite God-like being to fulfill their God-chosen gender roles (Gen 1:28). At its core, Biblical masculinity implies that men have the unique nature and responsibility (Gen 3:9, 11, 17) to maintain the God-centeredness of communities, churches, and families (1 Cor 11:3; 1 Tim 3:1; Eph 5:23). In making men men, God has entrusted to men the most sacred stewardship of manifesting His glory in creation (1 Cor 11:7). Masculinity, then, entails doing all that one can to become God’s agent and doing all that one can to fulfill that trust. Masculine men assume that responsibility to be and act in the biblically prescribed ways necessary to influence their environments for God.